What had the looks of a cloudy goalie situation for the St. Louis Blues just became crystal clear. Brian Elliott signed a three-year contract to remain with the Blues, meaning he will likely anchor the team's goalie tandem alongside touted prospect Jake Allen in 2014-15. And as a result of this contract development, it's certain that Ryan Miller, a pending unrestricted free agent, will either have his rights dealt elsewhere or test the market this summer. Miller will still have a chance to be a top-10 goalie entering next season depending on where he lands, but you can expect the Elliott-Allen duo to be one of the most coveted fantasy tandems entering drafts this fall. Elliott, 29, has been one of the more effective goalies in the NHL since joining the Blues in 2011-2012. Only Los Angeles Kings goalie Jonathan Quick (17) has more regular season shutouts over the past three seasons than Elliott (16). The fact Elliott played 62 fewer games than Quick makes his untapped potential as a No. 1 goalie intriguing. Adding to Elliott's cause is his combined goals-against-average over the past three seasons (1.86 in 93 games) leads the NHL among goalies with a minimum of 22 games over that span. Over the past two years, Elliott has had his share of impressive regular-season streaks, including an 11-2-0 stretch to close out the 2012-13 regular season and a 9-0-1 run from Dec. 10 to Jan. 7 this past regular season. He battled for time with former Blues goalie Jaroslav Halak for years and seized the opportunity more times than not whenever Halak was out of the lineup due to injury. 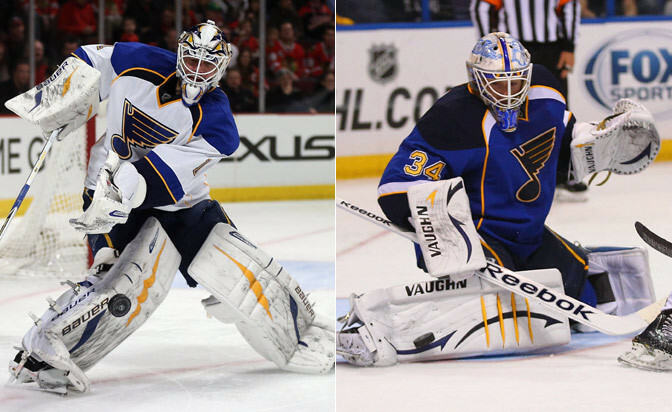 With Halak and Miller out of the picture, Elliott has a legitimate chance to be the opening-night starter in St. Louis. On the flip side, Miller will look elsewhere for a contending team to join following a brief, up-and-down tenure in St. Louis. After being acquired in a blockbuster deal on Feb. 28, Miller got off to a brilliant start with a 7-0-1 record over his first eight outings (13 goals allowed over that span). He faced significantly fewer shots per game than he did with the Buffalo Sabres, with whom he faced 40-plus shots 10 times in 40 games. But a late-season slide caused the Blues to draw the defending champion Chicago Blackhawks in Round 1 of the 2014 Stanley Cup Playoffs rather than one of the wild-card qualifiers (Minnesota Wild or Dallas Stars). Miller won the first two games against Chicago, but ultimately allowed three-plus goals in five of six playoff games as the Blues lost four straight and were eliminated. Following that first-round exit, Blues general manager Doug Armstrong said Allen would compete for starts next season, a strong indication either Elliott or Miller would not return to the team. Allen went 9-4-0 with the Blues in 2012-13 but spent the entirety of the 2013-14 season with the team's American Hockey League affiliate in Chicago. He led the AHL in wins, goals-against average and save percentage in 2013-14 and remains under contract with the Blues after signing a two-year contract last summer. He was one of my fantasy sleepers entering 2013-14 and needs to be considered one again next season. With Miller's future destination uncertain at this point, the biggest takeaway from the Elliott contract is that the Blues' tandem should remain stable moving forward. With so many teams (i.e. Washington Capitals, Pittsburgh Penguins, San Jose Sharks, Wild, etc.) dealing with questions between the pipes entering the offseason, John Gibson and Frederik Andersen of the Anaheim Ducks form the only comparable timeshare duo to Elliott-Allen at this point in terms of projected fantasy value. So make it a point to prioritize Elliott and/or Allen when you begin doing your fantasy draft homework this summer. Spending middle-round picks on their services should pay major dividends.